Three free-floating species that normally co-occur in the natural waters of southern China were studied—two globally introduced invasive species, Eichhornia crassipes and Pistia stratiotes, and a native counterpart, Hydrocharis dubia. The responses of the three species to different phosphorus and nitrogen levels were determined using root morphological parameters and topological indices. The results showed that P concentration levels had a significant effect on all of the root traits, except for the shoot/root ratio of P. stratiotes, whereas nitrogen had less impacts on the root traits. The root parameters consisting of lateral root number, root altitude, root length, total root length, root area, total root area, relative growth rate and root relative growth rate of E. crassipes were the highest among the three species. We found that the root branching of E. crassipes can be considered as a peculiar poly-herringbone branching system according to a new root topological structure model. The predominant root growth traits and root branching structure of E. crassipes and P. stratiotes help to explain their high absorption ability and fast growth, so the spread of these invasive species may be exacerbated as eutrophication intensifies in the future. 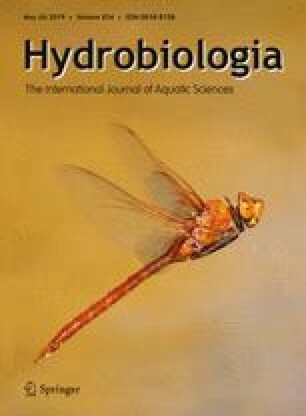 The authors acknowledge funding support from the Special Foundation of the National Science and Technology Basic Research Program (2013FY112300), the Major Science and Technology Program for Water Pollution Control and Treatment (2015ZX07503-005 and 2017ZX07203-005), and the Introducing Talent Starting Project (NIGLAS2018QD01) of the Nanjing Institute of Geography and Limnology (NIGLAS), Chinese Academy of Sciences. We are grateful to reviewers for providing helpful feedback on our work. IUCN, 2013. Global Invasive Species Database. http://www.iucngisd.org/gisd/100_worst.php.